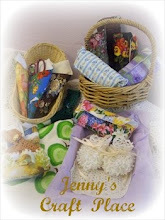 you are welcome to enter by clicking here to see my handmade gifts. This is just a glimpse of what is available in my 'bricks and mortar' shop. Thank you for dropping by, and I hope you enjoy browsing.